CNN's Ivan Watson looks at multi-million dollar technology used to fight IEDs that only cost dollars to make. 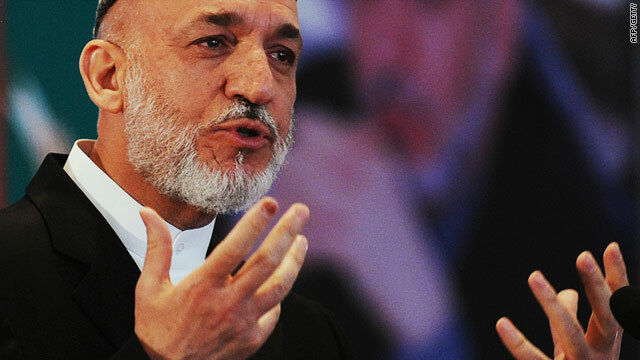 The Taliban is spreading through northern Afghanistan, and the governor of the northern province of Kunduz claims in an interview with CNN that 40 percent of his province is over-run by Taliban militants. An anti-insurgent provincial governor who had survived Taliban assassination attempts was among 20 people who died on Friday in an explosion at a northern Afghan mosque during prayers, a government official said. The blast in Afghanistan's Takhar province killed Kunduz provincial governor Engineer Mohammad Omar, who recently sounded an alarm about the threat of insurgents during an interview with CNN. After completing a seven day mission, a bomb-hunting patrol rolls into Kandahar air base in a cloud of billowing dust. Among the road-weary American troops peeling off body armor and sweaty helmets is a 21-year-old soldier from New Jersey named Alan Carroll. He hops out of the turret of an armored vehicle carrying a heavy 50-caliber machine gun, and then begins loading flak jackets and rucksacks into the back of an open truck. The young man moves with speed, strength and enthusiasm, something you wouldn’t expect from someone who survived four bullet wounds in a single day less than a year ago. It was supposed to be a day celebrating Afghan achievements in education. Instead, Afghanistan's embattled president broke down crying at an official gathering commemorating International Literacy Day. Afghan visitors pose for photos and pretend to sell each other passenger tickets next to a rusty little locomotive in a shattered corner of the Afghan capital. Built in Germany in 1923, this little engine is all that is left of King Amanullah Khan's effort to modernize Afghanistan by constructing a 7 kilometer-long railroad in downtown Kabul in the 1920s. The locomotive is now a curiosity at the Kabul Museum, standing below the ruins of the former king's battle-scarred palace. For 24-year old Abil Ahmad, it is the first time he has seen a train in Afghanistan. "It's a very sad symbol," says the university student. "Unfortunately we don't have a train today." 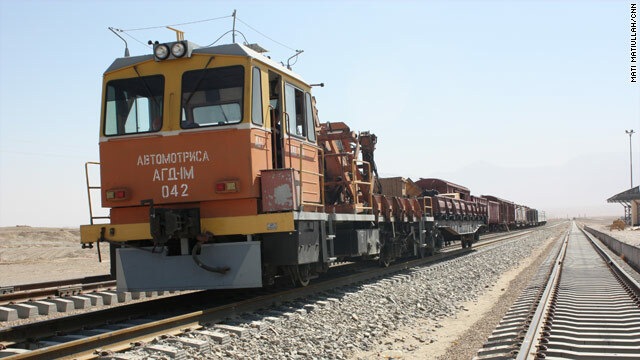 In fact, the first modern railroad in Afghanistan in nearly a century is nearing completion in the north of the country.